Alpine Cols announces partnership with the Marmotte Granfondo Series. Home » Crank Spinner » Alpine Cols announces partnership with the Marmotte Granfondo Series. 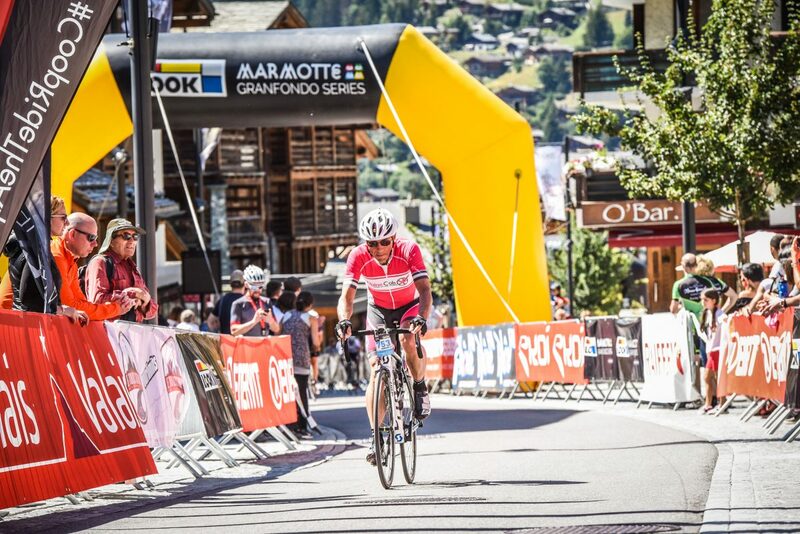 Alpine Cols has been appointed Official Training Camp provider for the Marmotte GranFondo Series, the oldest and most prestigious of the one-day sportives. In concrete terms, this means we are organising a first coaching camp in the week preceding the Grand Trophée France​ event GranFondo Gassin Golfe de St Tropez, 31/03 – 07/04. This is the perfect event to sharpen your skills and refine your training plan for later events such as the Marmotte Alps in July. We are organising a second coaching camp in the week preceding the Marmotte GranFondo Valais in Switzerland, 04/08-11/08. This camp is designed to help you perform at your best in the GranFondo on 10/08, and includes reconnaissance of the entire GranFondo route (spread over several days) as well as a sharp focus on technique. The rides are relatively short to ensure you are on form for the GranFondo on Saturday. In addition, we will be present at the Marmotte Alps and Marmotte Pyrenees to offer advice and tips to riders, and throughout the year we will publish training plans and detailed descriptions of the demands of each event to help riders prepare for them. Alpine Cols coaches have a great palmarès at these prestigious events. Olivier has finished 10th at the Marmotte (and has been in the top 20 seven times), and Silas has finished in the top 50. In parallel to this new partnership we remain close to the Haute Route: at the time of writing Emmanuelle and I will be riding the Haute Route events in Oman, Alpe d’Huez, the Pyrenees and Ventoux, and Stéphane will be riding the Alps. Between the six Alpine Cols coaches we have unparalleled experience of the Haute Route (we have now ridden more than 30) and the Alpine Cols coaching camps remain the best preparation you can have for these events.